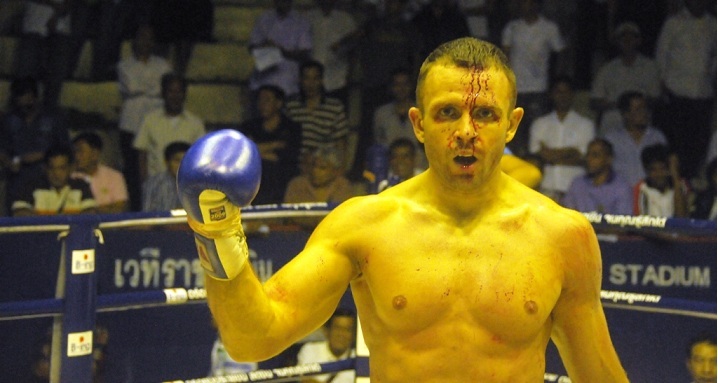 Pawel knocks out at the Rajadamnern stadium! Pawel was the first Pole fought (16.09.2012)to Rajadamnern in Bangkok, one of the most prestigious Thai stadiums in the world..
Wergi fought with Cheerchai Petchpaothong The fight began unfavorably for Paul. Experienced Cheerchai cut Pawel head. Heavy bleeding could lead to the end of the fight. Jędrzejczyk despite head injury put everything on one card, which resulted in knockout. Below are videos of the fight.